Slot Machine winnings are 100% taxable without a reasonable set of records to document losses. 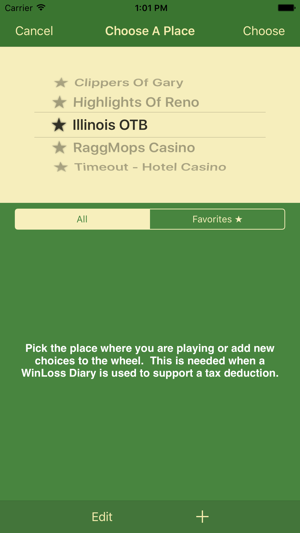 WinLoss ● Slot Player’s Diary is intended to provide an easy to use diary system to support deductions claimed for Slot Machine losses. Data is collected as slot play occurs with an iPhone, iPad, or iPod touch. 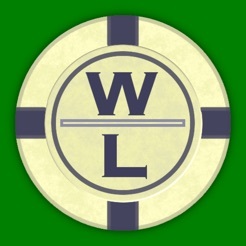 A detailed WinLoss Diary report can be generated and exported in pdf format for tax purposes. Several additional reports are available. 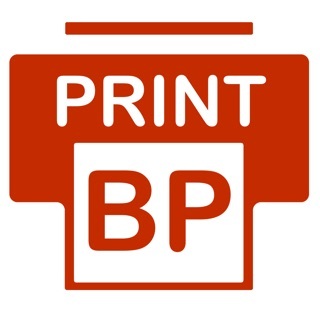 Full data Backup and Restore functions are available via email or iTunes File Sharing. The Diary has room for a total of 15 entries. An In App Upgrade is available to allow unlimited entries. I just started to use this app. 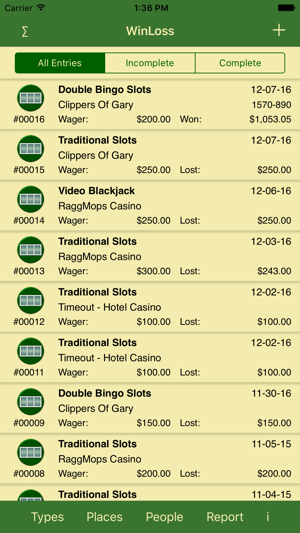 And already impressed with how easy it is to track you losses or wins! No more pen and paper that I need to take to the casino- just my phone! It will take you a few minutes to figure out how to navigate and use the app. but the creator of the app is really fast to answer all your questions via email! I really got a reply within 5 minutes! The report that I am able to create with this app. are exactly what you need in order to prove your losses to IRS! Great tool for record keeping! 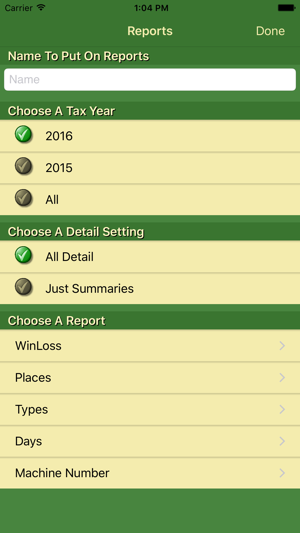 I have been using this app for several years now and found it to be a great help at tax time. It does what it claims and does it well. A very useful tool! Works exceptionally well! Data entry is easy and intuitive. The app is quite stable and professionally done. For me it has been a good investment. 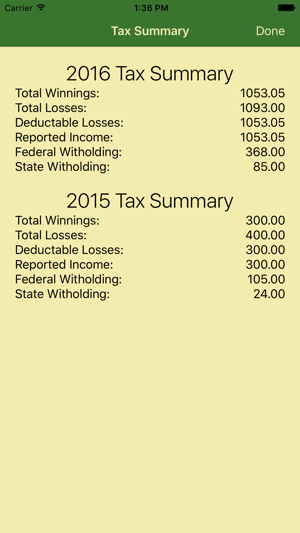 After entering my slot play data for much of last year, and winning a couple of big jackpots with W2-G reports, I was very happy to have a simple, concise tax record to document my losses. I am not too good with keeping paper records. 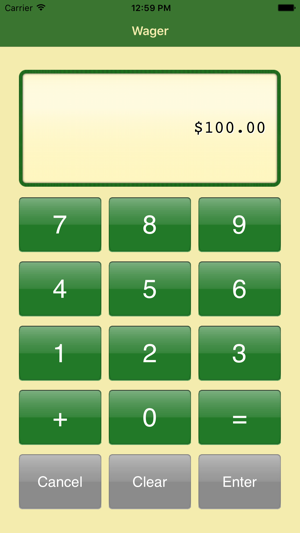 Without the app, I would have had no records and would have likely paid hundreds of dollars more in taxes for the year. I would highly recommend this app! © 2010, 2011, 2016 Sandcroft Inc.